In a previous article I talked about ‘aeration’ and why it is part of the necessary process in turf maintenance. 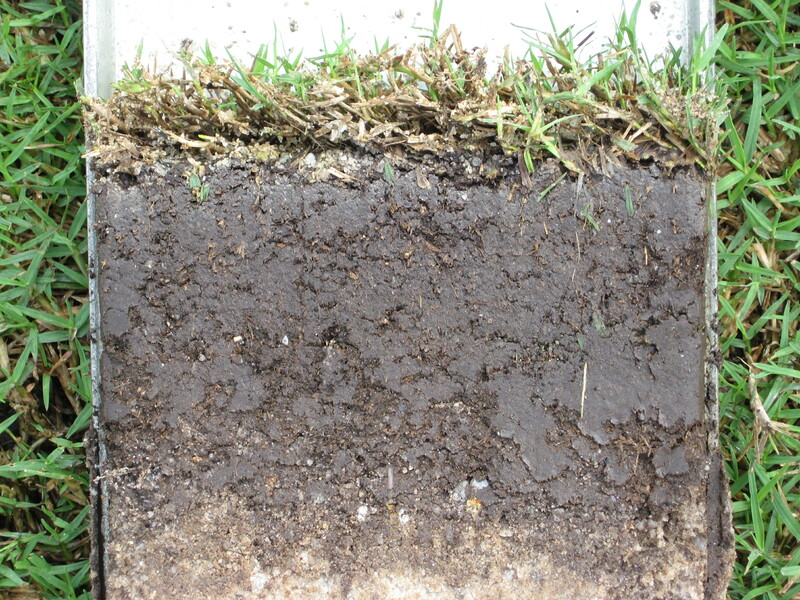 I mentioned that aeration’s main purpose is to relieve compaction in the soil profile. There is also another reason to do the aeration work that most golfers hate to see but Golf Course Superintendents have to do, and it sits between the grass and the soil. It is called ‘thatch’. I’ll explain what is thatch, how it occurs, why some is needed and some has to be removed. As a bonus, I’ll even tell you how your Superintendent strives to manage the thatch in your golf course. In the golf course context, thatch is an organic layer of living and dead stems, leaves, and roots of grasses that developed between actively growing grasses and the soil surface. It may be decomposed or it may be in a state of decomposition. Before we go on, I would also like to introduce ‘mat’, which is largely thatch that contains a lot of sand or soil intermixed through the activity of topdressing or earthworm. How does thatch occur? Well turfgrass is a continuously growing plant. It continuously grows new leaves and new roots. It also grows longer stems, stolons and rhizomes. Yet, through genetic or by human activities (mowing or some compaction-causing actions) it will only support a certain amount of leaves, stems, stolons, rhizomes and roots. The rest are cut off or will just die and break away from the plant; these are some of the organic matter that forms the thatch. To illustrate how thatch forms, think of an average young lady, who may cut her hair or some of her hair will drop off naturally (her genes will determine how long her hair can grow). Now imagine that this lady is static in one place and the hair that fell off her is not swept away but is left to collect around her. Over time, those hairs will start to decompose and that – in a way – is how thatch is formed. Now let’s leave this young lady by herself, because I know by now, some men are already letting their imagination run wild. Thatch is not always bad news. There are some good effects of thatch accumulation too. Work will be a lot tougher for us Golf Course Superintendents if there is totally no thatch on greens. When a golfer complains that a green is ‘hard’ and his ball bounces off the green from a high shot; that is usually caused by the absence of thatch. A certain amount of thatch provides more resiliency or cushion to the grass surface. Thatch also provides more wear tolerance to the grass. Without thatch, it would be just the grass and the soil, all the golfers walking and putting on it would just wear it out. Thatch also acts like mulch; it insulates against extreme heat. Without thatch, the hot sun would just beat down on the soil and start to heat up the roots and microorganisms in the soil. All that changes after thatch reaches more than 25mm (1 inch) in depth. Then the list of negative effects of thatch becomes long enough that us Superintendents will have to roll up our sleeves and start to show our worth. While disease causing organism always exists in the soil, there are a lot more of them in the thatch layer, especially when it is deeper than one inch and it starts to act like a sponge and hold a lot of water. Sometimes a lot of insects hide in the thatch layer too. It is just a matter of time before it attacks the turf. All it needs is just the opportunity when the turf is weak. A thick layer of thatch may prevent water from penetrating into the soil. It turns a particular patch of ground into what we call as localized dry spots or LDS. This problem is also referred to as ‘hydrophobic’ soil. On top of that, the grass will also be subject to decreased heat hardiness. A slight rise in temperature will stress the grass. Thatch does not build at a constant rate all over the green. Some places may have more thatch and some may have harder thatch. This means that weight put on the soil may sink in some places more than others. So a mower’s cutting unit that has it roller sinking in a soft patch will result in scalping of the grass. Some places it cuts only the leaves, as it should, but in some places where it sinks in deeper; it cuts the stem! What are the main causes of thatch? I know, you’re thinking; we’ve been there, I’ve told you already how it happens with the young lady analogy. But let’s go a step further; what causes some turf to have more thatch than others? You see, some species or type of turf has more vigorous growth than others. All grasses grow continuously but some grow faster than others. The grasses that grow faster will have more thatch than others. And of the 16 or 17 nutrients needed by a plant; none causes as much growth as Nitrogen. It can cause surge growth as soon as it is made available to the plant. A sudden surge of growth means a lot more grass will be cut and turned into thatch. It is also relevant to watch your mowing frequency; leaving until the grass is so long before mowing will just encourage thatch. Another issue that contributes to thatch is more interesting. Before thatch happens, when all these leaves, stems and etc falls into the soil, bacteria and/or fungus and other micro organisms will work to rot it. When there is not enough of these micro organisms due acidic soil or too much pesticides applied on to the soils; these ‘rotting’ activities are inhibited. Which means thatch that could not be decomposed (sounds better than rot eh?) will start to grow thicker. The same thing would happen if there is not enough air in the soil to facilitate the growth of the micro organisms too. Please add this to previous article’s on reasons why aeration should be encouraged. How does your Superintendent control thatch? What should you know and understand? Obviously we control growth of the grass. Be aware of the growth habit of the grass. Your golf course may have a grass variety that has aggressive growth habits and if you do, remember to control thatch. 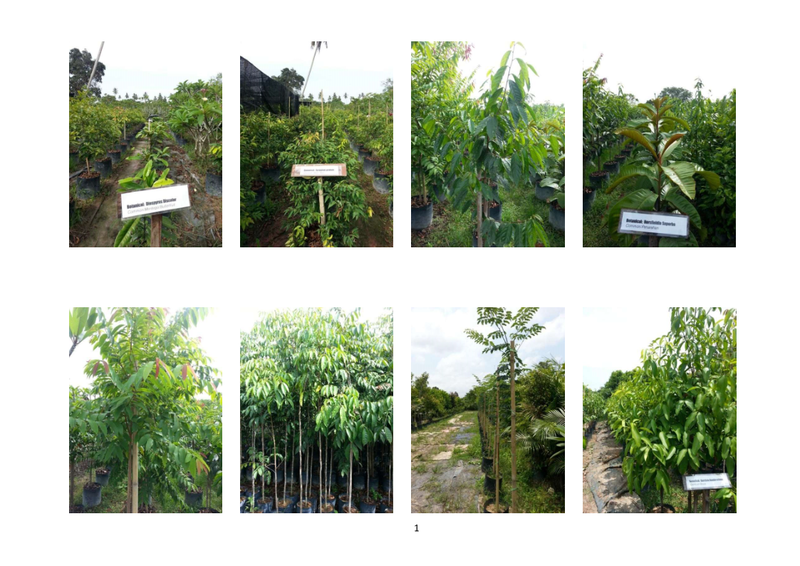 One method that is not so popular in Malaysia but has long been associated with my maintenance practice is the use of plant growth regulator or PGR. Only one good PGR exists in the market. I use it because it promotes lateral instead of vertical growth. It cuts down on amount and length of grass leaves so that when they’re cut, there are not so much clippings that fall into the soil. Some people choose to put baskets or catchers on their mowers that will allow them to catch the clippings to be thrown away. Obviously these people have more mowers and staff than the average golf course; and a big dumpsite too. Your Superintendent will be watching the fertilizer, especially the Nitrogen levels. What you read in books or what your friends tell you should be used only as guidelines. He/she will watch the mowers or ask the operators the week after the fertilizing; a lot of clippings? Too much clippings? Then he will make his own judgments. Frequent light topdressing will help in cutting down on thatch too. Your Superintendent will not do heavy topdressing; this will cut air from going to the thatch and drown the micro organisms. 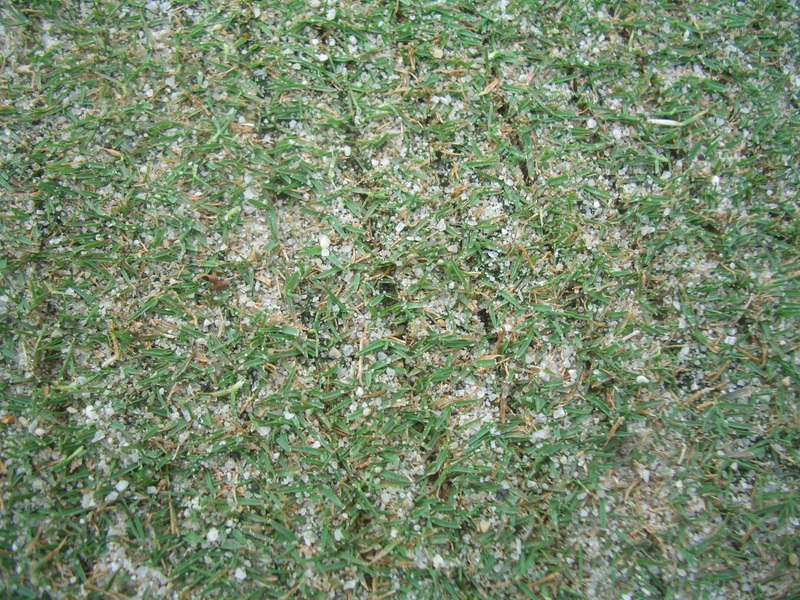 This is how mats are usually formed: Infrequent but heavy topdressing. Your Superintendent will try to make the micro organisms happy! He will maintain pH at reasonable levels by light liming – frequently if necessary. He will probably sing or talk to them if he can. He will give them air. Aeration (as discussed before) is good for not only to provide oxygen to the micro organisms but also it helps to remove the thatch which is then replaced by pure sand during topdressing. And lastly, what golfers see often on the golf course. Remember those straight lines on the green? Sometimes it does not affect putting; but sometimes your ball would be jumping all over the place. What happens is that your Superintendent is doing dethatching or scarifying work. Scary as it may sound, all he is trying to do is to control thatch. Remember, he is not trying to remove them altogether, just to control them. It is part of a process called ‘vertical cutting’. Instead of knives cutting grass horizontally to keep it short, imagine knives cutting vertically (up and down) through the grass. There are more than one reason for doing this but lets talk about thatch removal only here. Your Superintendent will set the knives at the depth he wants the thatch removed. Too shallow and it’s a waste of time, too deep and the grass will take too long to recover. Your Superintendent, through experience, will know how deep it should be. Sometimes, it can be decided on the spot after the machine has gone once or twice over a green. Sometimes, it has to be adjusted a few times over 18 greens. Leave the details to your Superintendent, he will figure it out. Strange as it may seem, there, in between the soil and the grass, lies another dimension that your Superintendent has to manage. It is another challenge for his skills and another test for his ability. I am sure he is hopeful that golfers understand how tough it is to maintain the golf course to the condition that customers want and at the same time, be mindful of those living in that dimension. Golfers obviously do not want wet grass clippings on their shoes – nor the risk of the ball hiding under lumps of cut grass on the fairways or in the rough. Clippings contribute to thatch – yet also serve as nutrients. Have you written any article on the advantages/disadvantages of clipping collection/sweeping ? No I haven’t. I’ll keep that in mind… thank you for the suggestion. do you reckon using growth regulator on Philippine grass (lawn area) would help in reducing thatch problem? is there any other way to keep my Philippine grass greener? plant growth regulator will help in reducing the amount of leaf you will cut in the future therefore it is possible to reduce the accumulation of organic matter that contributes to thatch, but it does nothing to reduce current existing thatch. Philippine grass – I and my friends believe – belong to the genus Zoysia and this genus; at least those in Malaysia is naturally light green. Fertilizing with Nitrogen based fertilizer results more in growth and not much green colour. I have heard of friends that fertilize their zoysia fairways with the fertilizer containing Ferrum sulphate but its usually for short term only due to cost. I’m not sure whether ferrum based fertilizer is sold retail. My guess is at best, you will find Fe as part of the nutrient on a bit expensive kind of normal NPK fertilizer. See the label to be sure. In theory, can. But in reality the machine is too big.